But Avani, who likes to play the violin and painting, has done precisely that to create history. Among the first three women fighter pilots being trained by the IAF, shattering the deep-rooted combat-exclusion policy for their gender in the Indian armed forces, Avani flew a 30-minute solo sortie in a MiG-21 at the Jamnagar airbase on Monday afternoon. “My heartiest congratulations to Flying Officer Avani Chaturvedi for successfully clearing her first solo sortie on a MiG-21 ‘Bison’ fighter. 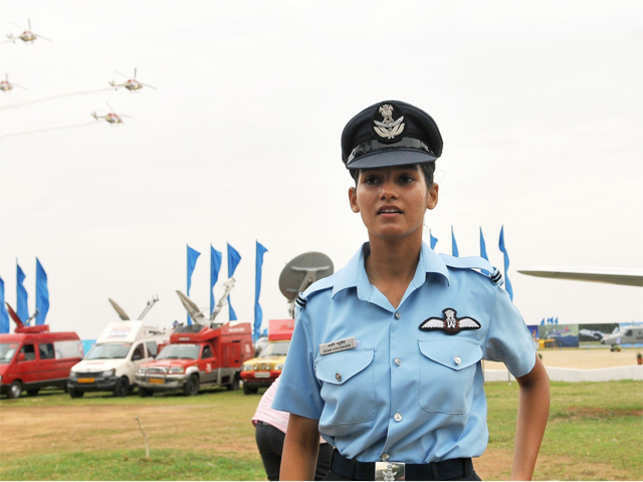 The IAF has always taken a lead in providing an equal platform to women officers. It’s a red letter day for the country,” said Air Chief Marshal B S Dhanoa, speaking to TOI on Wednesday. That she will certainly have to do. As will, her colleagues, Bhawana Kanth and Mohana Singh, who like her, will go for solo fighter sorties only after undertaking over a dozen “dual-check” sorties in twin-seat MiG-21 Type 69 trainers with qualified fighter instructors to learn the basics of flying combat jets. Price of subsidized LPG cylinders not raised this month: Is Gujarat polls the reason?